Jeph Loeb and Tim Sale did some Marvel comics with strangely colored heroes: Spider-Man: Blue, Daredevil: Yellow, and Hulk: Grey. 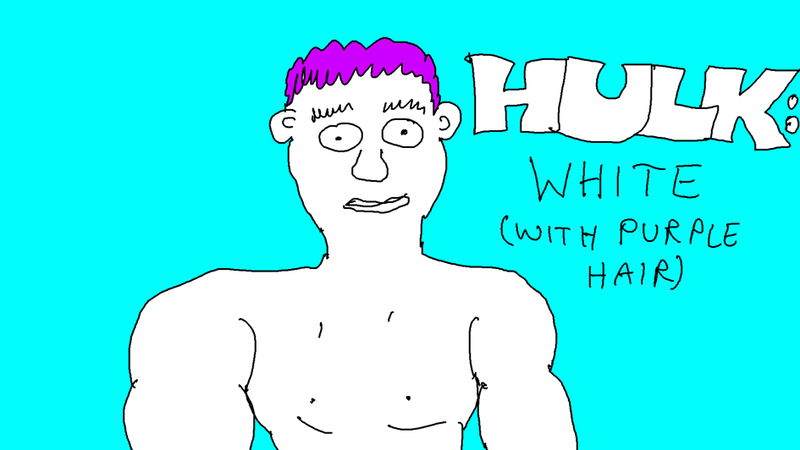 And now back from the DCU to the Marvel universe -- here's Hulk: White. His pants (not in the picture) have turned orange this time.